Favorites can be the most frustrating thing in horse racing. You bet them because it just feels like they should win, but you either end up with small payouts, or else they put you on tilt when they lose! Managing favorites and maximizing the value when playing with or against them can easily be the difference between a winning player and a losing one. In this edition of Handicapping 301, we’re going to look at examples from the last two weeks that illustrate how to attack heavy favorites that you want to play or bet against. First, a little back story. 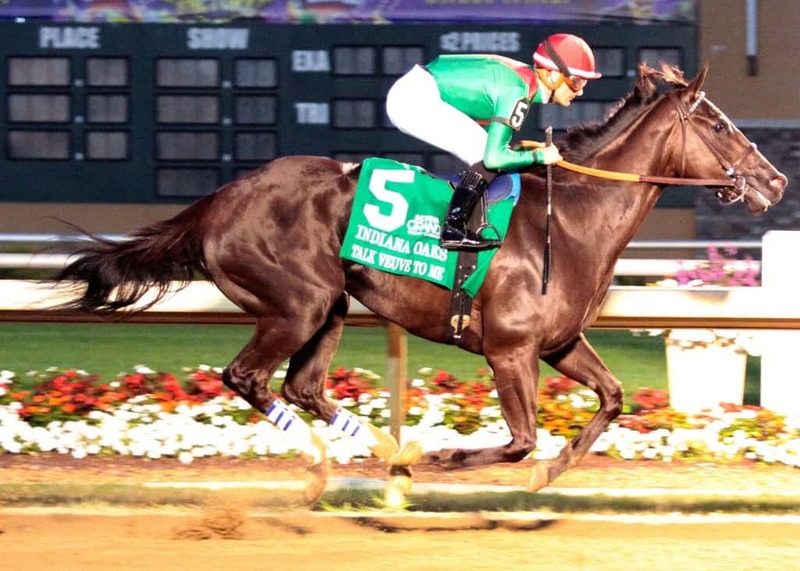 This all came about because of the discussion that Magic and I had on The Magic Mike Show on July 16 regarding how to play Talk Vueve to Me, who we both really liked but was 1-9 in the Grade 3 Indiana Oaks. Rather than risk a lot to win a little, I singled her in both a Daily Double and a Pick 3. 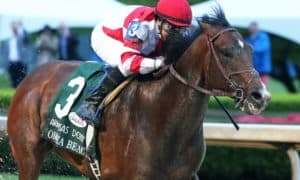 I believed that that King Zachary was a bad favorite in the next leg, the Grade 3 Indiana Derby, and also that the race prior to the Indiana Oaks was wide open. As it turned out, I was right. Even though he was the 9-4 favorite, playing Dot Matrix before Talk Veuve to Me and Axelrod gave almost a 20% premium on the Pick 3 win parlay and a massive 31% edge on the Daily Double. That’s not only huge, that’s double the take-out! While this is always my first and the best option, it can often cost you a lot of money if you keep trying to beat 1-9 favorites. They are 1-9 for a reason! However, it’s the most logical place to start because, if in your opinion it’s a bad favorite, then there is no need to create value around it, since every other horse on the board is an overlay. “Yeah, but the favorite is a lock!” you say. Then we have to find a way to add some value. This is the best choice for adding value if you have a strong opinion in the race(s) surrounding our big favorite, but it’s important that you not rely on ONLY favorites in the sequence. There was negative value on the 6 horse. 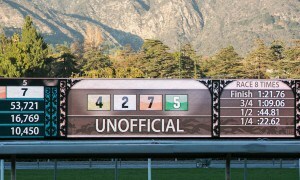 That is because it had a 5-1 ML but was cold on the board and broke out of the gate at 12-1. Many multi-race bettors lean on the ML, so if there is a large upward shift, then you see negative values. The next-lowest value is to the favorite, Brill, with a nearly 5% positive value, but after that, it’s 30% or better! That really shows the value of playing Doubles, especially when one of them is NOT the favorite. In this example, if you played the 2 horse in the DD, you would have gotten 19-1 value on a $2 wager with a 6-5 favorite (that paid $4.60 to win) and a 5-1. If you are as confident in the 6-5 as I was, then you just quadrupled your odds on the horse that you like in the second leg! The other reason that I start with doubles is that I can look at the Will Pays and do the math to know exactly what value I will be getting. One last note – even if you do like favorite/favorite, always take the 5% if it’s there! That’s 1/3 to 1/4 of the takeout that you are getting back, and it’s never a good idea to leave money on the table. This one can be trickier, but it’s a good way to inject value if there is A) no value in the Doubles with the horse(s) that you like, or B) you don’t have a strong opinion in any of the races surrounding the favorite. 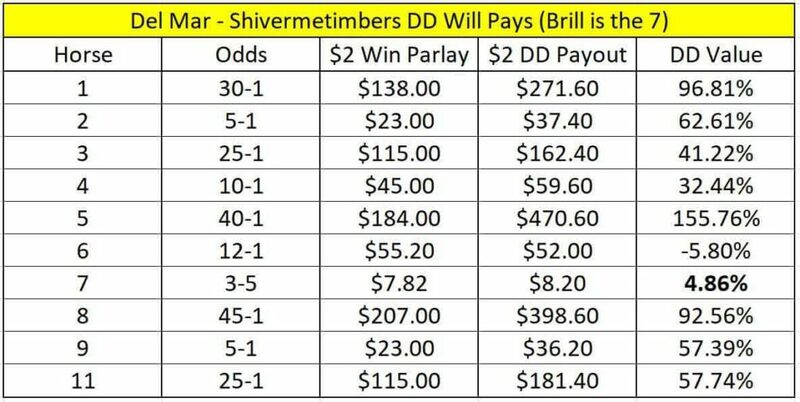 Exactas are my preferred way to play this style of bet since, like Doubles, you see the expected payouts and calculate the odds that you are getting. It’s important to have a strong opinion for the second-place finisher to make sure that the risk is worth the reward. 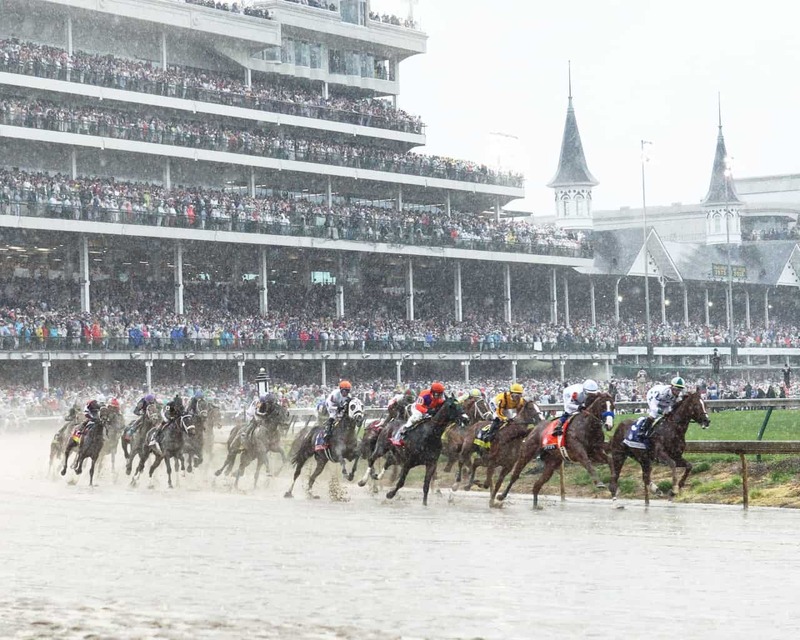 With the favorite on top, the payouts don’t justify playing two or three horses underneath, unless the horses that you like are big prices in big fields. You also need to keep in mind that the second-best horse does not always finish second. Maybe it’s because the second-best horse is trying hard to win, or another horse is running for the place money while conceding the win. 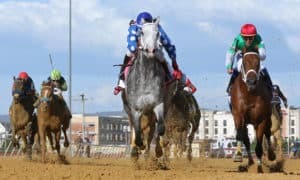 The most recent Preakness is a great example. 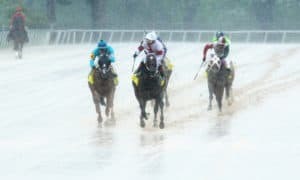 Good Magic was the second-best horse and the most likely exacta with Justify, but in the process of trying to win the race, Good Magic cost himself second. Avoid exactas where your second-place horse takes the favorite head-on. 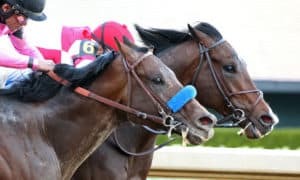 If you are of the opinion that the favorite is that strong, then it will most likely put away and demoralize the second-best horse, and that could end with you ripping up your ticket. Don’t forget that you can keep it simple – just bet the horse! 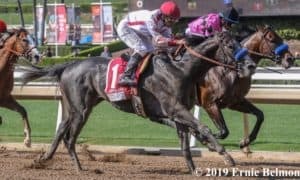 Personally, anything under 3-5 is a pass for me, but 3-5 on X Y Jet was free money in the Grade 3 Smile Sprint Stakes, and it was free money with Red Ruby in the Grade 3 Delaware Oaks. Passing on free money to get cute will burn you long-term, so if you do not have a strong opinion in the races surrounding your key horse, or you do not like anything underneath it, then bet it to win. 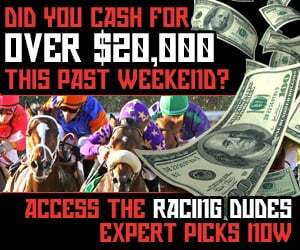 The key to winning with big favorites is creating value when adding them to your opinions, either underneath or in multi-race bets. It’s also very important to not force a bet. Remember, there is always another race, but if you lose your money, then you cannot always afford to bet it. If you do not like anything but the favorite and the favorite is 1-9, just enjoy watching an awesome athlete perform, and maybe buy a beer.